When it comes to skin care, I love a good face mask. I believe that skin care is a really important thing, in self care and in beauty. Ok I have been very fortunate to never have really suffered with spots and acne but I have to and will continue to look after my skin. In fact the old I get the more interested I am in to skin care and beauty. 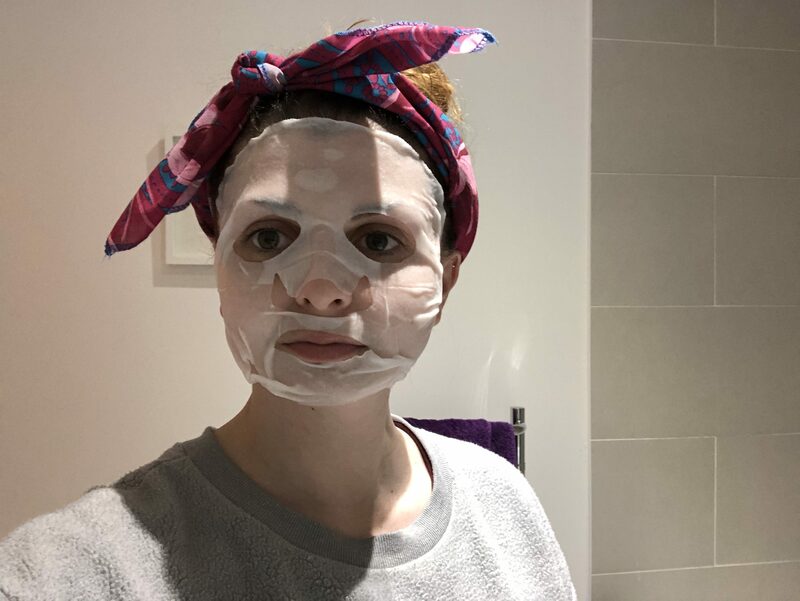 For me I always look for masks to help my skin, I have normal to dry skin so I tend to go for ones that help to moisturise and add that little extra something to my skin. I was actually gifted this from my good youtube friend Lauri as part of a friend mail video. But I am so grateful and thankful for this. Lets get on with the review. Like every mask I always read the instructions because you never know when they’ll be different. I like to read what is in the mask, how it will help your skin and just to double check really. 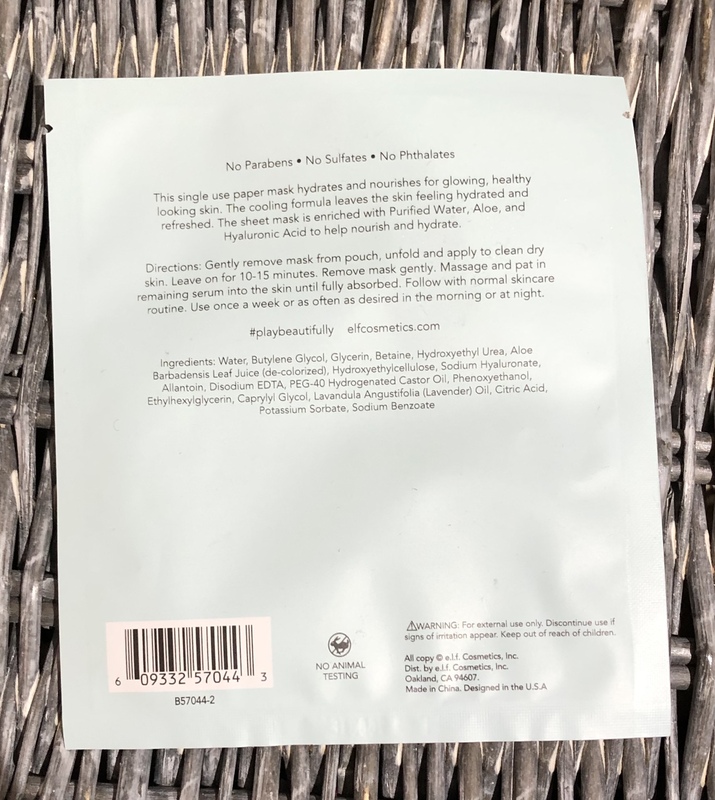 I also try to look and make note when I am buying masks to make sure they are cruelty free because that is something I am against and opt not to use products that have been tested on animals. As you can see by the photo above this mask ticks everything I look for in a mask. 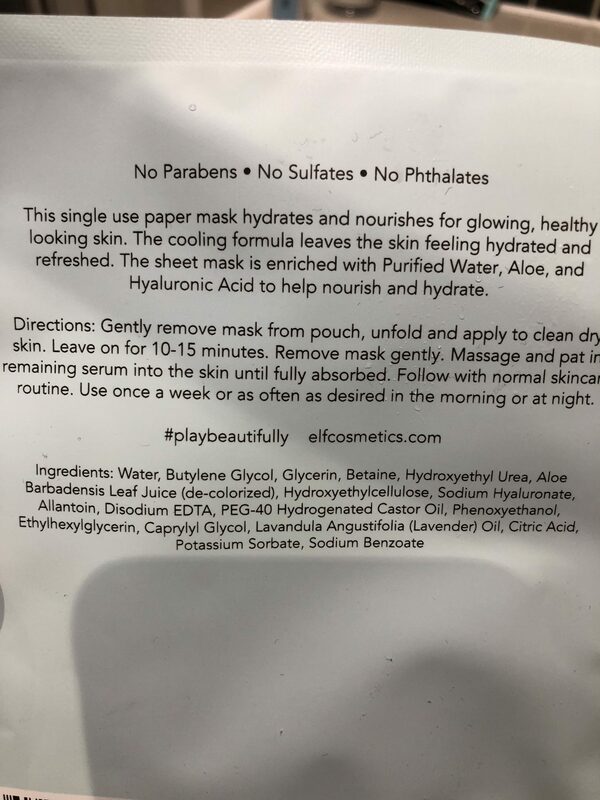 Though it’s a sheet mask which I would more likely decline than buy because of the sizing, I would have to say that with everything in it and what it is meant to do, it would be one to pick up off the shelf. I found the packet the hardest to open. I don’t even know why but I just wouldn’t tear properly. Eventually I gave up and got the scissors to it. This mask was the most slimmest to hold and open. It had so much liquid to it which is a bonus of course especially if you have dry skin. Once I had opened this fully and applied to my face I was pretty pleased with how well the fit was actually. Though a bit big on the sides the slits to pull this tight on my face were super helpful and allowed me to pull as tight as possible. Even the nose part wasn’t crazy long so fit me really well. 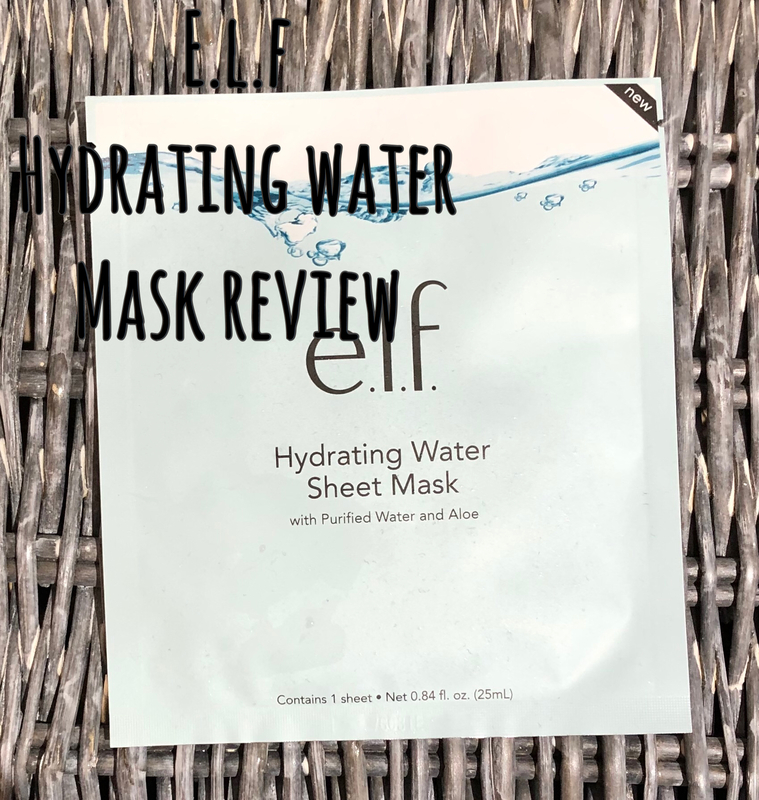 I made sure all the edges were stuck down to my face because of the amount of moisture on the mask itself I didn’t want it dripping down onto the floor or sofa. As the instructions stated to leave on for 10-15 minutes off I went to watch some youtube on my iPad. When it was time to take it off I was amazed at how much liquid was still on my face and as the instructions say I just gently massage this in to my skin. 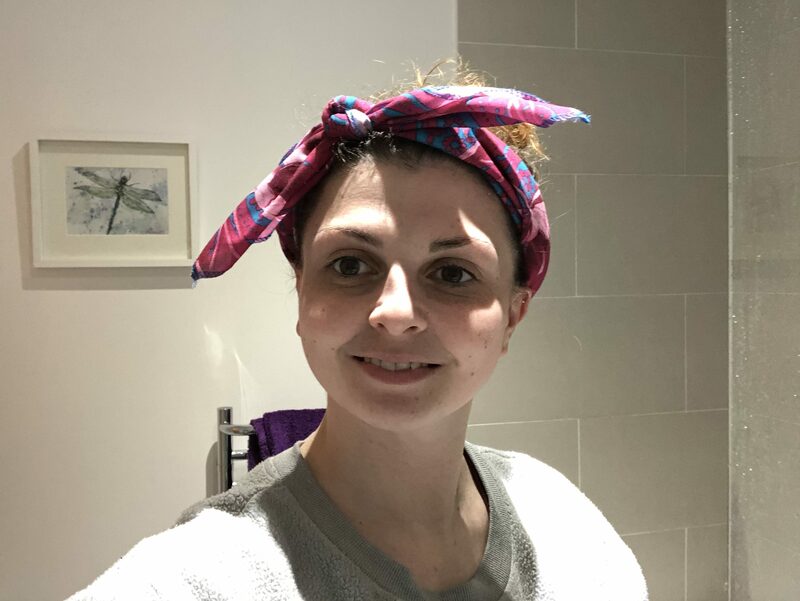 There is nothing better for me than a good face mask, my pyjamas and a knot wrap. I really liked this mask, which is surprising if you have been following my face mask Friday posts, sheet masks just don’t fit my face. Simple as really. But this one fit me so much better than others I have tried. My skin felt amazing and still does now a few days later. It has massively helped with the dry patch on the middle of my forehead and my skin is glowing. I would recommend this to anyone who is new to skin care or wanting to try something new. Or just because its one for everyone really. What face masks have you tried recently? Would you try this one? Do you have any you would recommend me to try?